I had the pleasure of working with Caroline Hull of Caroline Creates recently on doing a little brand face-lift for her as she transitions the feel of her business and blog. I’m so excited for her and the direction of her business, as she’s embracing the things that are truly important to her, and might I add – working her tush off to make things happen for herself! Because of her re-direction, the idea of an arrow in her logo really spoke to me, and we landed at the result below. 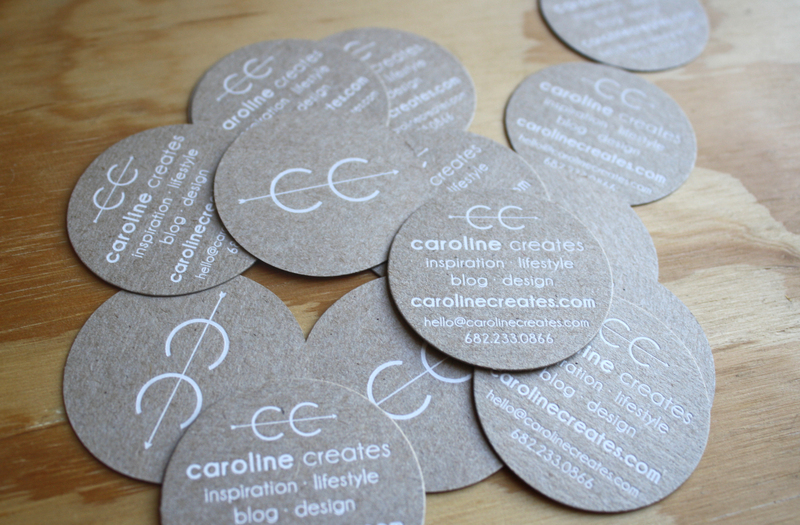 Her business cards are little 2 inch circles die cut from chipboard with white foil stamping. Awfully purty, I think. 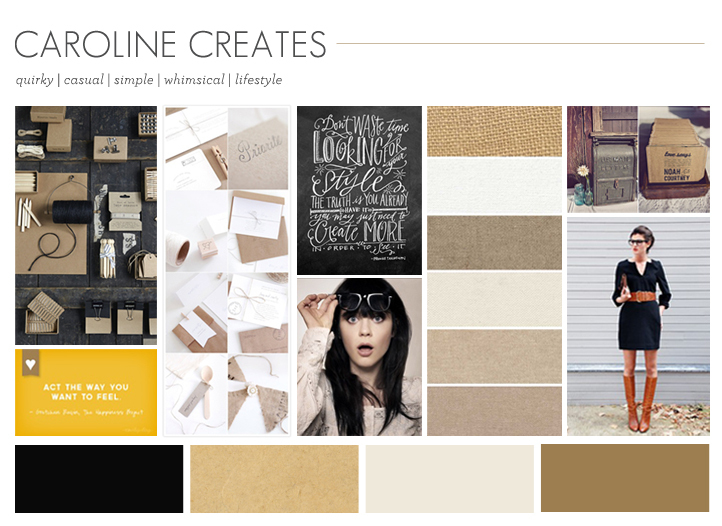 As inspiration for her brand, lifestyle, and blog, I pulled together this little inspiration board in the beginning of the process. Thanks, Caroline, for working on this project with me! And if you’re interested in photography packaging, a little re-branding work, or something else besides Save the Dates or Invitations, please contact me! I love working on projects like this.